Women's Philanthropy | Jewish Federation of Greater Indianapolis, Inc.
Women’s Philanthropy of the Jewish Federation of Greater Indianapolis (JFGI) is a network of compassionate and committed volunteers who inspire and empower each other to be change makers and community shapers. We are dedicated to building and supporting Jewish life for today and future generations in our local community, Israel and throughout the world. 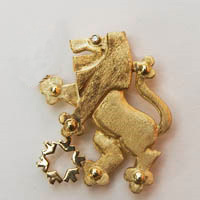 The Lion of Judah is a symbol of today’s Jewish Woman’s strength, a symbol of her caring about the organized Jewish world and a symbol of her financial commitment of at least $5,000 to the Jewish Federation of Greater Indianapolis's Annual Campaign. Created in 1972 in Miami by Norma Kipnis-Wilson and Toby Friedland, the Lion of Judah program has brought together women of all ages and from many walks of life in order to play an essential role in creating social justice, healing the sick, feeding the hungry, preserving human dignity and building Jewish identity. Women are eligible to receive a pin upon becoming a member of the organization. Each year that a woman sustains or increases her minimum $5,000 gift, she is eligible to have a small diamond set into the pin. The pomegranate is a symbol of a woman's commitment to the Jewish people, based on the 613 seeds in a pomegranate fruit which symbolize the Torah's 613 mitzvot, and a symbol of her financial commitment of at least $1,800 to the Jewish Federation of Greater Indianapolis' Annual Campaign. 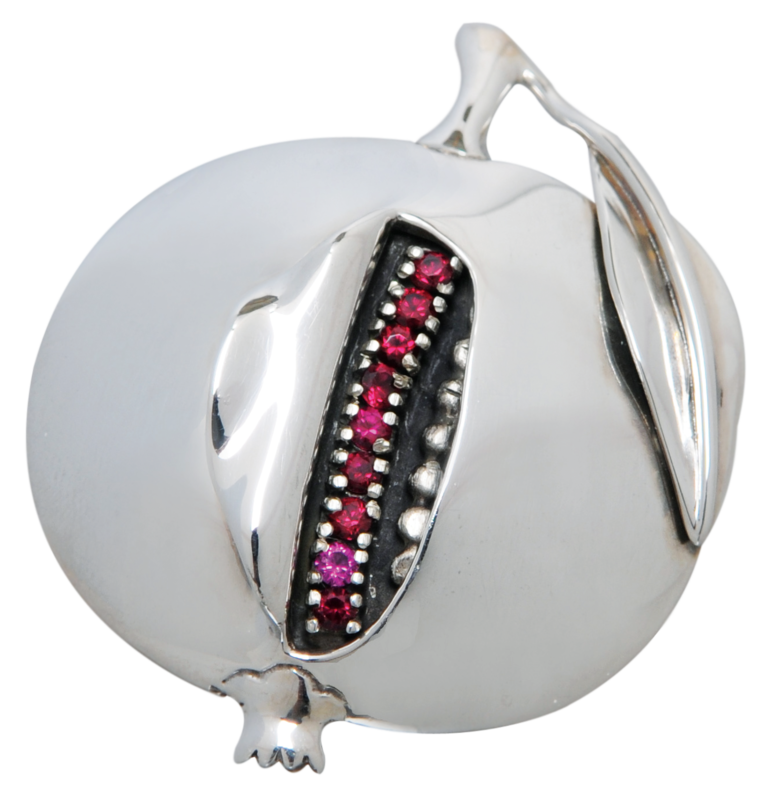 The Pomegranate pin was introduced in Lehigh Valley in 1981 by Sybil Baiman and Jeanette Eichenwald. A proven aspirational tool, a woman's pin shines a little brighter each time she increases her pledge. Each step up brings her closer to becoming a Lion of Judah and motivates her to stay with the Federation and complete that journey. Women are eligible to receive a pin upon becoming a Pomegranate. Each year that a woman increases her minimum $1,800 pledge, she is entitled to add a new ruby “seed” to the pin, which is designed to be used for a period of 10 years.